I was recently asked what my favorite restaurant is – a question I find very difficult to answer because it depend’s on my mood. Certainly if I’m in the mood for French food the answer would be different from times that I crave a pastrami sandwich. As I thought more and more about the subject I found that the more important question is what restaurant or type of restaurant do I leave feeling really good and happy after the meal. Surprisingly, the answer was not one of the extremely excellent (usually expensive) restaurants I frequent occasionally, but rather the meals that I make me happiest are generally macrobiotic. I rarely leave a fancy restaurant feeling as satisfied, happy, peaceful, and I admit, a little self righteous as I do following a simple meal of brown rice, salad, and steamed or sauteed vegetables. The beauty of this realization is that I don’t have to go to a restaurant for a macrobiotic meal and so I have pulled out my rice cooker (more about that another time) and am making simple dinners that are loosely macrobiotic and I find it’s a lovely way to unwind at the end of the day. 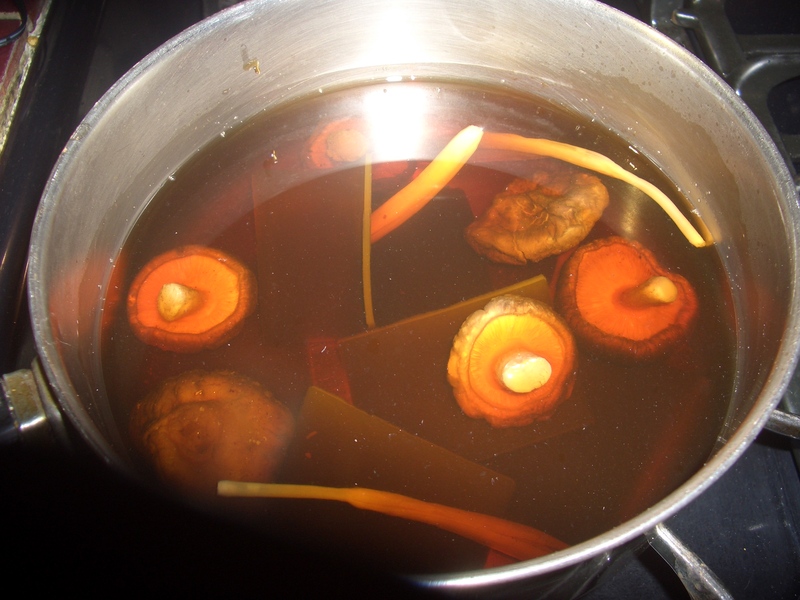 That all being said, I decided I would like to make miso soup to add to my macrobiotic repertoire. The base for miso soup is dashi, a broth made of seaweed (kombu) and dried bonito (fish flakes). 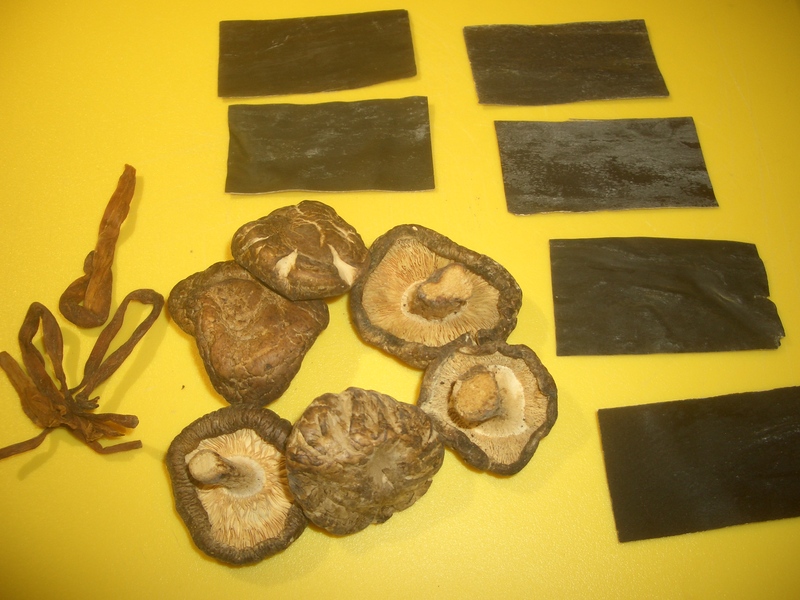 Dashi is used widely in Japanese cuisine. Although I like miso soup when I go to restaurants the thought of bonito was not my cup of tea. So, I decided to find a way to make it without the fish; what I ended up with is part Japanese, part Chinese. 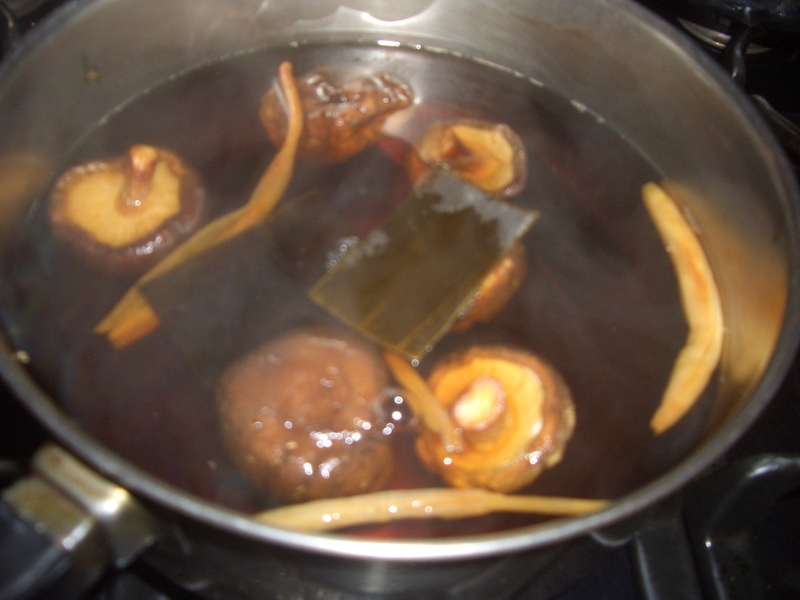 I know that dashi is full of umami. 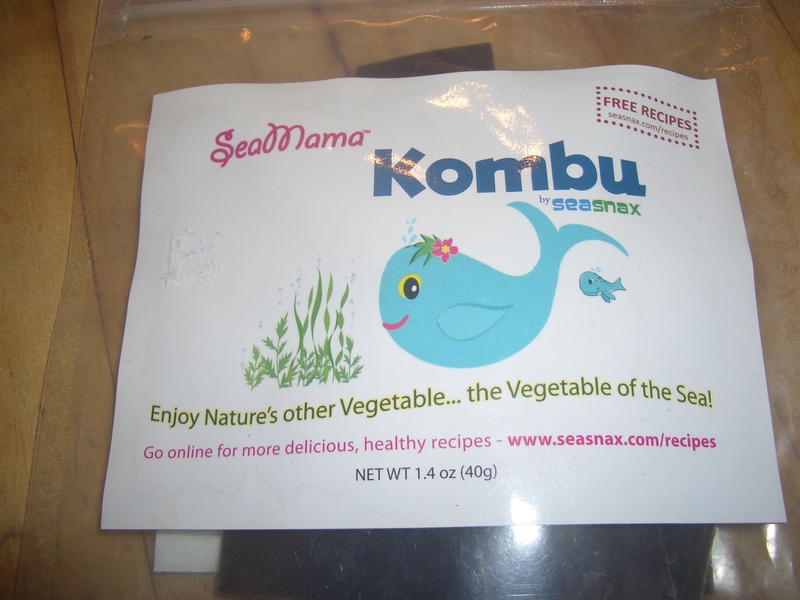 Umami is the fifth taste along with sweet, sour, bitter, and salty – umami is best described as earthy. 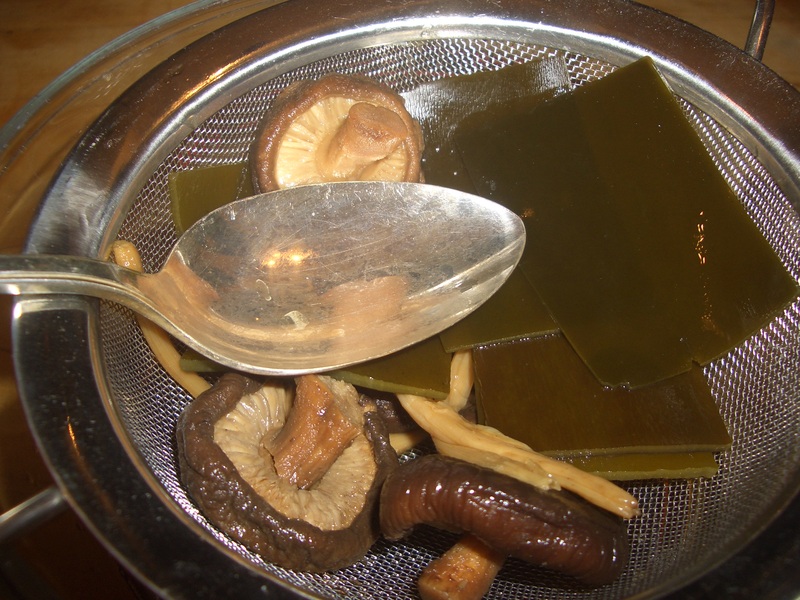 Knowing that mushrooms are a just loaded with umami, I decided to add that to the broth along with the kombu. 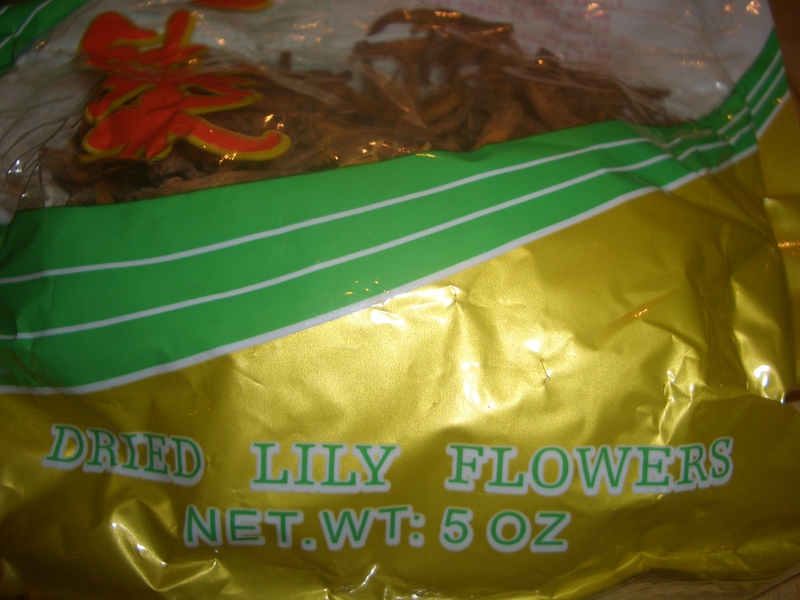 Then, just because I had them in the house to make hot and sour soup, I threw in a few dried lily buds (I don’t even know if they are used in Japanese cooking) and just to ensure enough flavor I added some soy sauce and mirin. Once you have the ingredients in the pantry, this is an extremely simple broth to make. 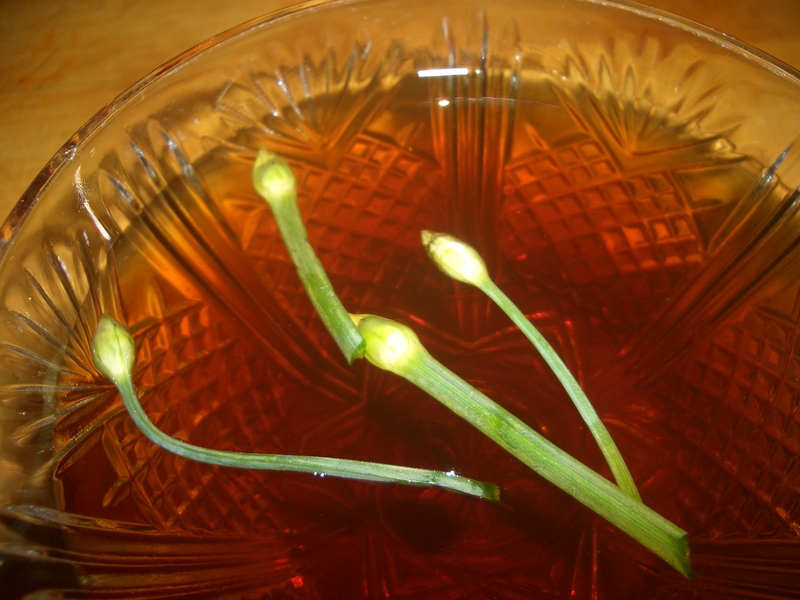 Though I’ve photographed the dashi in a bowl with chive blossoms, I would not really eat a bowl of dashi. It is, for me, strictly an ingredient. The longer you let the vegetables steep, the more flavorful the broth will be. 1. 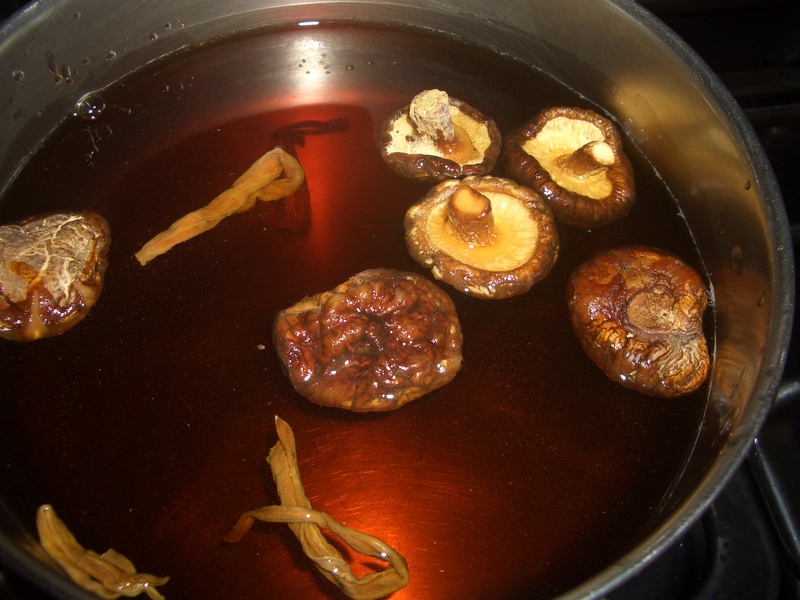 In a 1 1/2 or 2 quart pot, bring the water, mushrooms, lily buds ,and coconut aminos to a boil. Reduce heat and simmer 5 minutes, uncovered. 2. Remove from heat. Make sure water is NOT boiling. 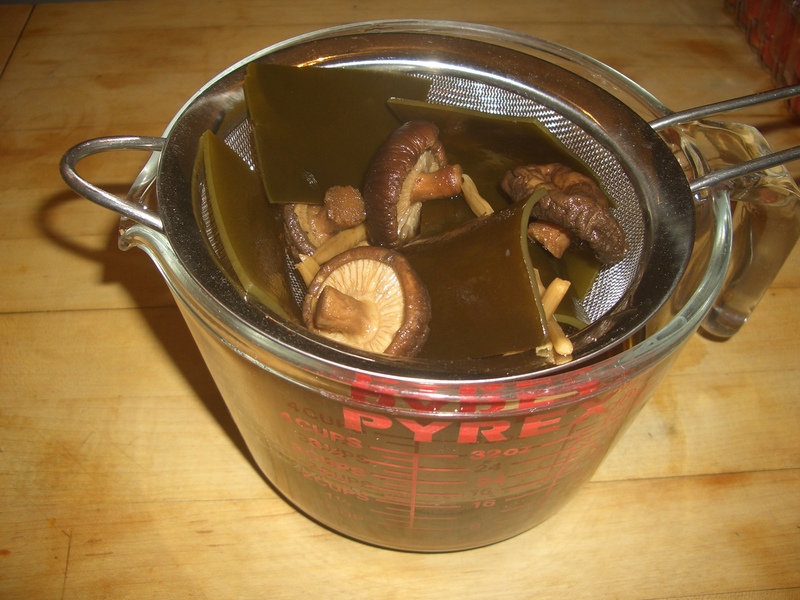 Stir in kombu; let stand 2 or more hours. Using a spoon press the liquid from the vegetables into the stock. Oops, now that I read the recipe, I see you don’t use miso at all. Sorry. I should have read more carefully. the miso is coming next Friday…I’ll be sure to look into it. For those of us who have to be gluten, not just wheat free, can you suggest some brands of miso that don’t contain barley? That would be great.